These beautiful Custom Christmas Cookie Favors are hand decorated, baked fresh and taste amazing!! They even taste better than they look! Our Christmas Cookies are so BIG in size and so vibrant in color that these pictures don't do them justice! Our Christmas Wreaths, and Stockings are big enough to write on. Now that's BIG! 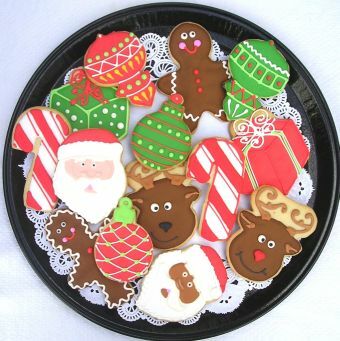 These Cookie Favors are a delicious and fun way to celebrate this Holiday Season! 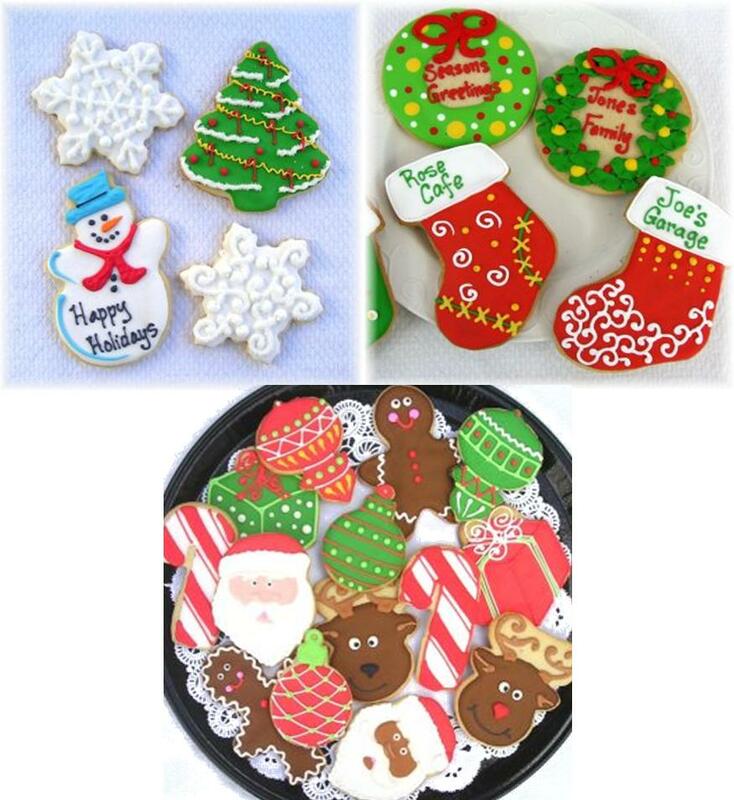 Each Christmas Cookie comes in cellophane bag and curling ribbon to make this the perfect Christmas Gift! Perfect for School Holiday Parties, Corporate Holiday Gifts, or just to hand out to your loved ones. Everyone loves cookies, and our Christmas Cookies will surly make their Holiday Merry and Bright! Snowmen 5" x 3 1/4"
Christmas trees 4 1/4" x 4"
Stocking 5" x 3 1/4"